Toshiba has agreed to buy a majority stake in NuGen’s Moorside nuclear project. The Japanese company is set to take a 60 per cent stake in the project, after having agreed to buy up all of Iberdrola’s 50 per cent stake in NuGen, and an additional 10 per cent stake from GDF Suez. GDF Suez remains involved in the new nuclear project and retains a 40 per cent stake. 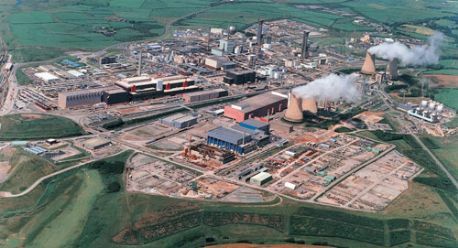 The deals are worth a collective £102 million and Toshiba, which owns reactor designer Westinghouse, said the first units at the 3.4GW nuclear plant will be operational by 2024. Westinghouse president and chief executive Danny Roderick said: “This is another example of the strong commitment of Toshiba and Westinghouse to serve the global nuclear energy industry and enable countries and regions of the world to achieve their carbon-reduction goals. Gérard Mestrallet, chairman and chief executive of GDF SUEZ, stated: “The signing of this agreement is an essential step in the pursuit of the development of our nuclear programme in the United Kingdom.